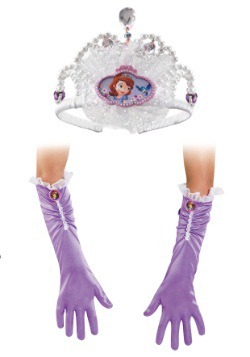 If you have a princess-in-training who wants to attend Royal Prep, get her one of our Sofia the First costumes. 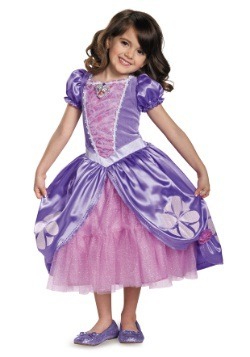 She can wear Sofia's classic purple gown as she learns everything she needs to know to become the best princess ever. But, being a great princess isn't just about wearing the right dress. It's about how you treat others, and how you behave. She can learn to sew, watch swans, and welcome friends to the castle for tea parties. And when she has a problem, she can seek advice from any of the Disney Princesses. Since she hopes to join their ranks someday, she can be part of a group theme with friends. She'll be ready to wake up and make the day hers!